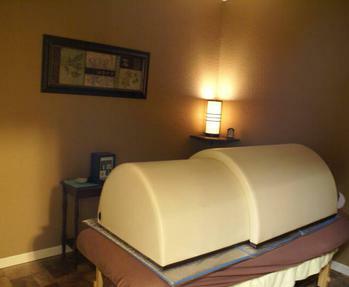 The body treatments at Shanti Rejuvenation Center are the perfect response to a tired, overworked body. Choose from these treatments for a relaxing and rejuvenating experience. Detoxify and invigorate your body with this Nordic treat. The micronutrients penetrate your skin and rev-up circulation and rejuvenate your body. Medicinal Chinese herbs are used to exfoliate, then an application of warm Hazelnut Oil followed by exfoliating Herbology massage. Detoxify and stimulate your skin’s metabolism with therapeutic mud, energizing peppermint and red raspberry extracts. ** All body treatments are laced under the Infrared Solar Sauna for specified time of therapy.